Jeju bus system is little complicated for you to understand them completely. 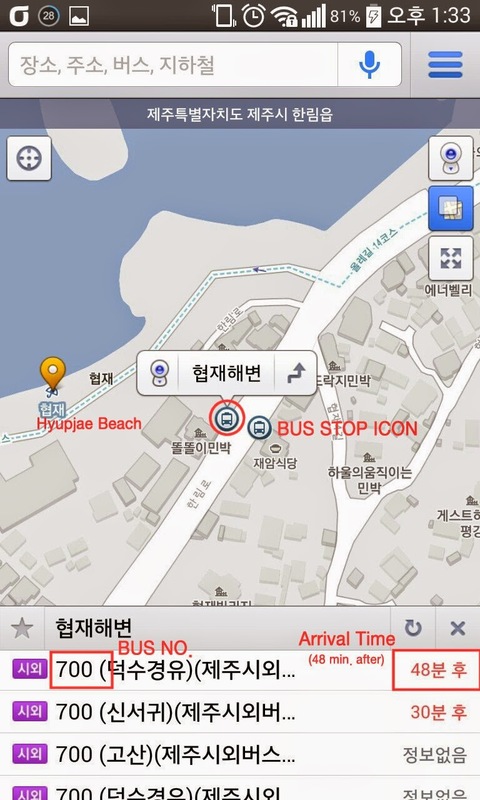 But, you can use Daum Maps, Korean famous map app. Although you cannot read Korean characters, it's very simple to use this app. Turn on your GPS and you can see bus icon near by your place. If you click this icon, you can find buses to be arrived at this stop. You can find bus no. and arrival time.